Theresa's Haunted History of the Tri-State: It's a Ghost! Yeah, you can add this to the list of things that I laughed way more than necessary at. In fact, that's also the thought of the Forkly Vegan, the Facebook page that shared this little gem! I hope you also get a kick out of this Friday Funny. 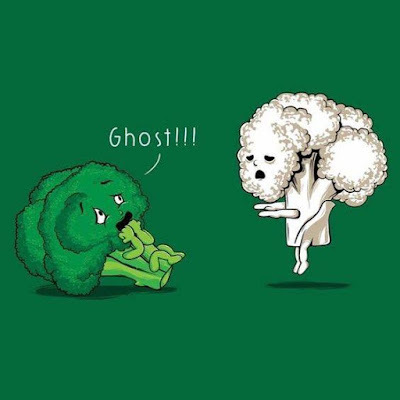 Stay cool out there, remember to eat your veggies, and have a great weekend! Theresa Takes on July's Ultimate Blog Challenge!